FOR a long time, scooters have been the poor cousin that no one wanted to talk to at the family picnic. Well not any more. 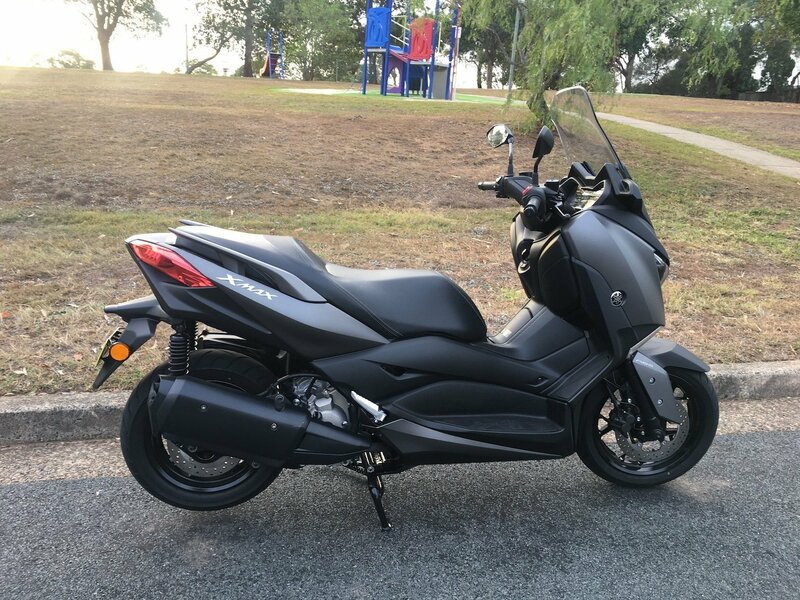 The 2018 Yamaha XMAX 300 is excellent, ballsy, and comfortable to ride, with loads of personality to boot. 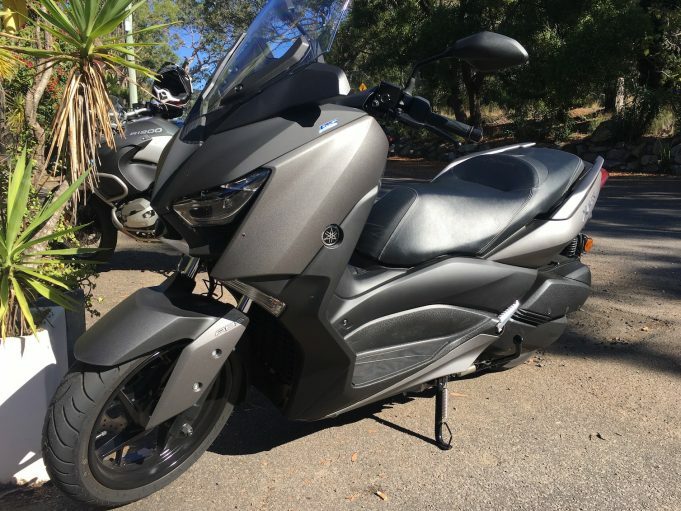 It’s got plenty of storage space, and has no trouble keeping up with its more powerful two-wheeled cousins. It’s perfect for the urban commute, has excellent fuel economy (we achieved 2.8-litres/100km), and with a low weight point, feels light and nimble. Traffic won’t be an issue with this one either. Power is usable and willing with its “twist and go” action, and the gearbox is automatic, adding to its urban city appeal. 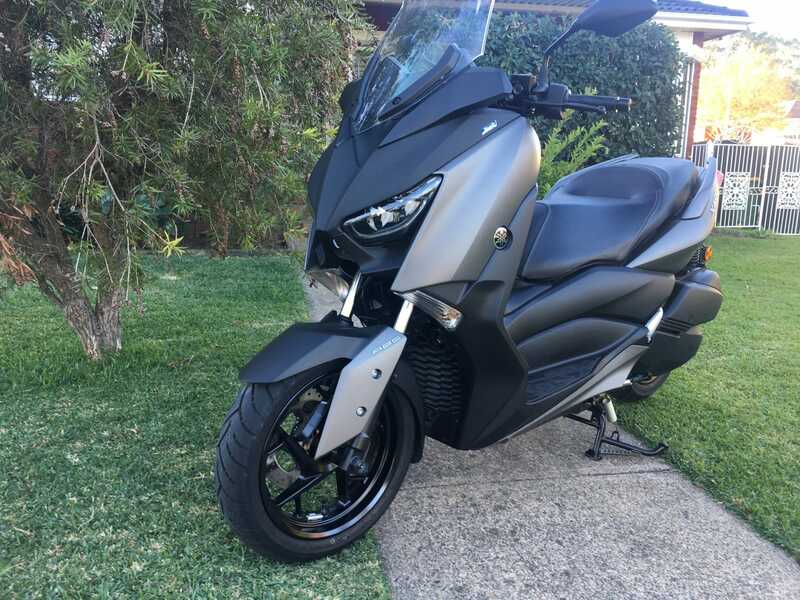 It’s so good we reckon this could be one of the most practical scooters on the market. The storage under the seat is, in a word, gargantuan. You will fit a full dry rider jacket and pants, plus a helmet, plus a small bag, in there; or the shopping if you need to stop off and get something for dinner on the way home. 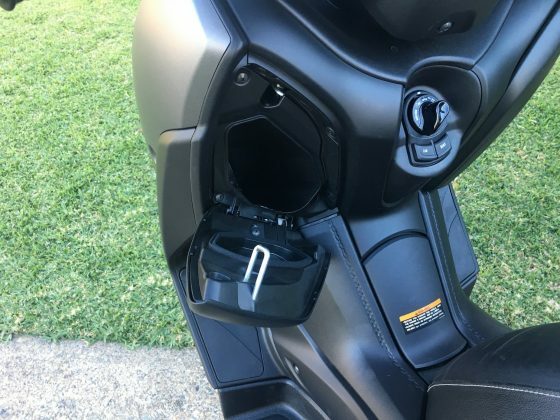 In the front, just below the handle bars, there is a lock up glove box where you can store your phone, wallet or gloves, and, a second glove box for other stuff. It’s in the first of these two glove boxes where you’ll find one very cool feature. There’s a charging port stashed in there, to keep your phone charged when you’re out riding or between meetings. 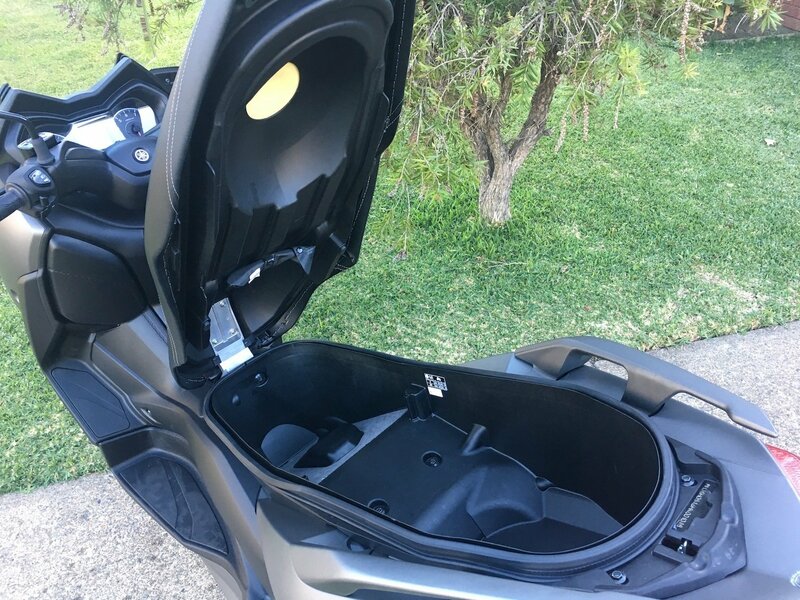 This is a feature not normally associated with bikes or scooters and is usually an optional extra. The power comes from a single cylinder 292cc engine, and despite a 28bhp output, it’s an excellent unit with a nice note. And while the auto gearbox took some getting used to, it’s pretty easy to live with. The other thing that takes some getting used to, especially when you get off a road bike to get onto this, is that the left hand lever is the rear brake. It does stop on a dime though, and with ABS included, it’s super safe in the rain or on slippery roads. Riding on the roads on any bike has it challenges and they are no different for this scooter, but there were plenty of positives, with the comfort level amongst the particular stand outs. 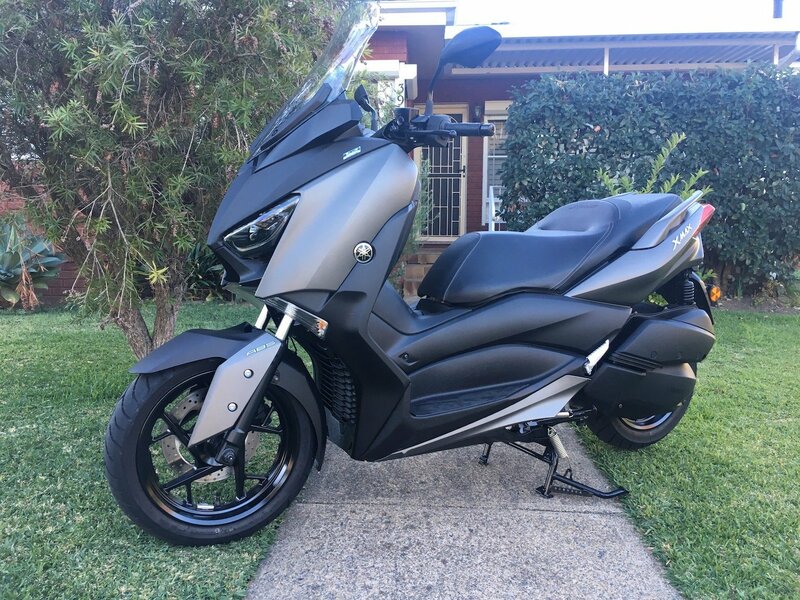 It would be very hard for any motorbike, or indeed some cars, to have the same level of comfort as this scooter. The seating position is like sitting in a comfortable chair, with the arm position to the bars at a very relaxing angle as well. It would be entirely feasible that you could ride this bike all day and not feel too fatigued or saddle sore. 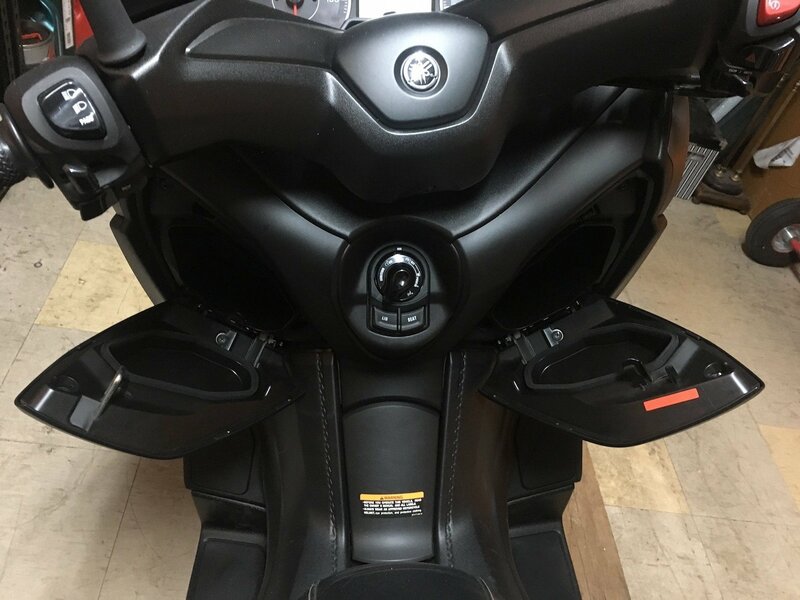 The windscreen also directs the air away from the rider so that you are not hit in the chest by the wind, adding to the comfort level of this machine. Nothing seems to be an effort on this scooter, but there is one decent exception. One negative thing. 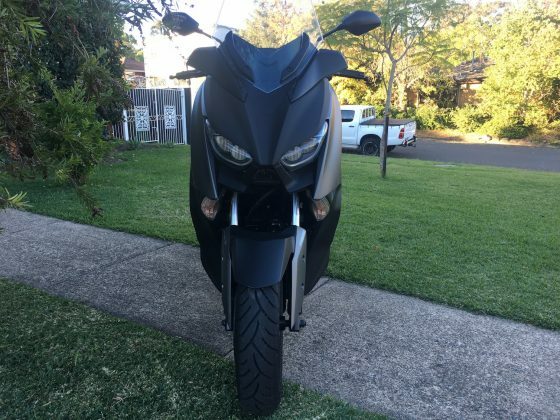 The width of the bike is an issue. We found ourselves on tip toes at the lights, which could be a little tricky if you’re short. Not a deal breaker for us though. The dash is very car like, with big analogue dials for speed and RPM, and a digital screen in the middle that shows all the information you could ever need. Litres per hundred, odometer, air temp, trip meters etc. That’s a lot for a bike, let alone a scooter. There’s even a gauge for fuel and engine temp. 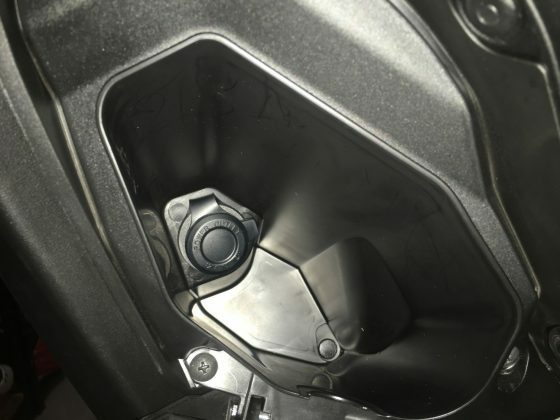 Incidentally, the 2.8-litres/100km we achieved means that with its 13-litre tank, you could potentially get up to 400-plus kilometres out of a tank of fuel. That is excellent fuel economy in anyone’s language and would certainly suit the city commute or weekend getaway. So if you’re looking for a scooter, we reckon the 2018 Yamaha XMAX 300 is a winner. It’s practical, powerful, economical, functional and above all, comfortable. It may just be the bike you didn’t know you always wanted. It comes in two colours; Quasar Bronze and Lunar Grey (our test machine). It hits the road at $6,999 plus on-roads. Our test bike was provided by Yamaha Motor Australia. 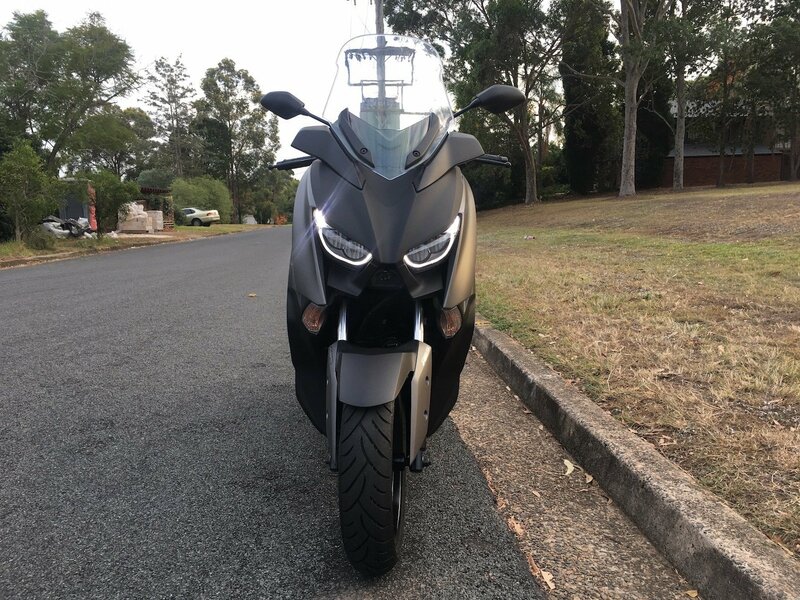 To find out more about the 2018 Yamaha XMAX 300, contact your local Yahama Motor dealership. Pros - comfort; small but powerful engine; storage space. Cons - width of bike; poor quality high beam. Seems a low score of 3.6/5 after such a glowing review. FANS of the Renault Captur will be grinning from ear to ear with the arrival of the new look version of the brand's five-door funster. The feisty and vivacious small SUV delivers a chic and understated elegance with its contemporary exterior design, and a colour range few can match.